I was going to call "Master Chief and Arbiter (Gods Among)" by Sita Navas fan art, but the "fan" label feels cheap when applied to this Maya-style masterpiece. This is just art. 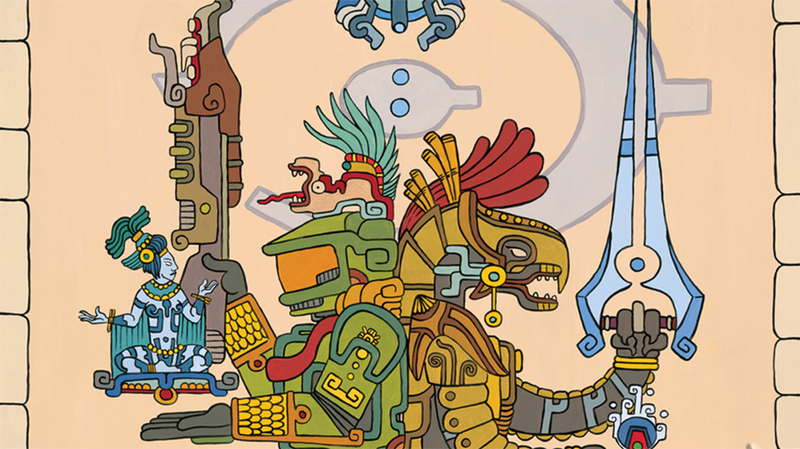 Posted over on Reddit by her husband to tremendous response, the piece portrays Bungie's two Halo heroes in the distinctive style of the ancient Mesoamerican civilization. The end result is an image that lends a timeless mystery and wonder to these familiar figures. Sita is selling prints of the piece over on her Etsy page, as well as Mayan takes on The Legend of Zelda and Metroid.